Skidder 2012 G | MÁVIPROD Magyarország Kft. Benefiting from modern technology in compliance with the European Standards, TAF 2012 G from IRUM is the newest machine designed in our Research and Development Center, being characterized by performance, efficiency and comfort at Western level. The high-performance PERKINS engine, the modern power steering system and the PowerShift gearbox are only a few of the high quality components integrated by IRUM in the new TAF 2012 G machinery. The increased operating performances of this machinery are given by the grapple together with the support and its arm, replacing the mobile shield of its predecessor. It allows the transportation of logs at a higher ground clearance, decreasing in this manner the contact surface of the logs with the ground, leading to an increase in the efficacy of the machinery and to a decrease in consumption and an increase of the life span. The maneuverability of the new TAF 2012 G is also improved by the possibility of performing some closer bends through the rotating/pivoting function of the grapple around its own axis. Being maybe the most important element of the machinery, the engine of a TAF must be adapted to some extreme working conditions, while also being reliable, easy to maintain and economical at the same time. 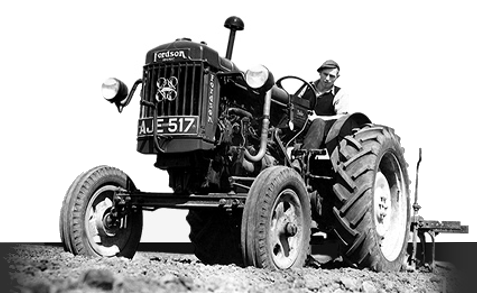 Exactly for these reasons we have opted for the experience and the skills of the PERKINS Company, the world leader in the field of diesel engines for agricultural and industrial applications. The 1204E-44TA model used in TAF 2012 G corresponds to all applicable European directives in terms of pollution regulations, developing 110 HP and is designed in compliance with the new EU Stage IIIB (EPA Tier 4 Interim, MLIT Step 4) standards. The engine is coupled to a synchronized Powershift 4-speed gearbox. Moreover, the machine has multi-disc axle brakes in oil tank and differential lock, 2 x 8 ton hydraulic winch, as well as joystick controlled grapple. Also, the exceptional comfort and the exceptional endowments represent strengths of the machine. From the adjustable driver seat with air bag and heating system in the seat and backrest, up to the load monitoring camera and the digital display steering column, TAF 2012 G will ease both the work performance and your comfort during the performance of the works, while the very good heat and sound insulation ensures a well-protected workstation in any season. The machine cabin, in addition to the enhanced robustness and ROPS, FOPS and OPS certification, is tilting 45° to the right to ease the work in places with difficult accessibility, and the location of controls was redesigned for added ergonomics and comfort in use. The new TAF 2012 from IRUM is a Romanian forestry tractor with western performance, standing out by the latest technology, efficiency and comfort. Ergonomic, folding, certified: ROPS, FOPS and OPS in compliance with the requirements of the standard ISO 11850 : 2011, harmonized with Directive 2006/42 EC. * Refers to TAF 2012 equipped with tires 18.4 – 30.